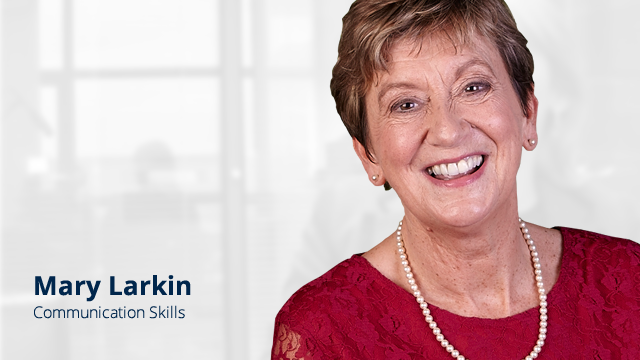 Our 2-day Communication Skills workshop is designed for teams of all sizes, in all sectors. It is a practical learning experience that affords plenty of opportunity for discussion. In addition to core communication skills, we also cover overcoming barriers to communication, building rapport and ways to handle difficult conversations. The in-company format of this course enables us to tailor the content around your needs. We can focus on any goals you may have for your team’s confidence levels, communication skills and ability to resolve problems. What are the Benefits of this Communication Skills Course? This practical workshop is designed to provide your team with a comprehensive communication toolkit by covering the principles of effective communication. We look at ways to be assertive without crossing the line to aggressiveness. In this module, we also address how to handle challenging conversations effectively. In-company training affords you the opportunity to choose the location and dates that work best for maintaining productivity and convenience for your team. Our in-company pricing model is extremely cost-efficient for teams requiring communication skills training. What is covered during this Communication Skills Course? Why Choose In-Company Communication Skills Training? There is a lot of truth in the statement, “a team is only as strong as its communication skills”. Clear communication and shared terminology ensure the efficient, smooth running of any team. The best way to establish this foundation is to schedule a customised, in-company Communication Skills workshop for your team. Over 2 days, we will deliver a focused programme, centred around challenges and goals that are relevant to your team and business. Get in touch with us to find out more about how in-company training can work for your organisation. Our training consultants can advise on the right solution for your needs. You can reach us at Freephone 1800 910 810, click below to ask a quick question, or get full course details by downloading our course brochure. I would prefer to attend a public course. Are there public dates available for this Communication Skills course? Our Communication Skills course is only available for in-company bookings. All of our public Management Courses include a module on building and strengthening your communication skills. My team are facing very specific communications challenges. Can this course be tailored to address these challenges? Tailoring and customisation are huge benefits that accompany choosing an in-company training format. We can certainly focus on particular areas and address any issues your team are currently dealing with. Does this course cover telephone communication skills? Although telephone skills are not included in the standard outline for communication skills, we offer a 1-day workshop specifically focused on telephone skills. We can include this as an add-on to the communication skills syllabus. Does the content include email and written communication skills? Our business writing workshop can be combined with communication skills to give your team a strong foundation in essential communication skills. Your training consultant will advise on the best solution for your needs. 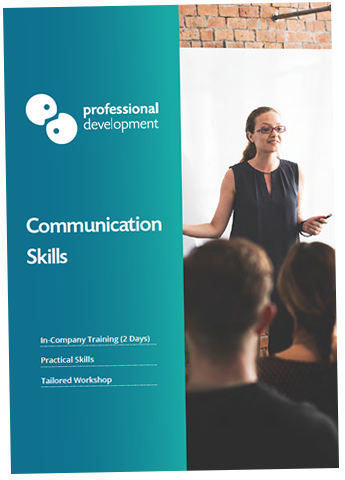 You can click below to ask a quick question or download our brochure for more information about our in-company communication skills course. If you would prefer to speak with our training consultants, you can reach us at Freephone 1800 910 810.